Most injuries are caused by accidents. Someone was being insufficiently careful and accidentally struck you on the road or didn’t fix a hazard on their property which injured you. However, our clients are sometimes injured either intentionally or because the defendant was grossly negligent or reckless. In these situations, our clients might qualify for punitive damages. Most compensation you can receive is compensatory in nature. For example, you can receive money to make up for the economic losses caused by an accident—medical bills, lost wages, and damaged property. You can also receive money damages for non-economic losses like pain and suffering or emotional anguish. Punitive damages have a different purpose. They are designed to punish the defendant for conduct that is more serious than mere negligence. As the injured victim, you get to keep punitive damages in addition to your compensatory damages. What Type of Conduct Warrants Punitive Damages? A defendant does not have to pay punitive damages if they were merely careless. For example, someone who failed to look over their shoulder before backing out of their driveway probably is merely careless and will not need to pay punitive damages. The defendant knew his conduct was wrong and that injury would likely result but nevertheless intentionally pursued that conduct, causing damage. The defendant’s conduct was so reckless or careless that it amounted to an indifference or conscious disregard for the health and safety of others. For example, a defendant who drives into a group of people in the crosswalk is undoubtedly reckless, so punitive damages are probably warranted. Likewise, someone who speeds through a neighborhood where he knows children play in the street might need to pay punitive damages as well. What is the Maximum Amount of Punitive Damages a Defendant Must Pay? In most cases, you can only receive three times your compensatory damages or $500,000, whichever is more. For example, if your compensatory damages were $200,000, you can receive a maximum of $600,000 in punitive damages. If your compensatory damages were $50,000, you can receive a maximum of $500,000 (though you will likely receive much less). If the defendant’s intentional misconduct was motivated by financial gain, then you can receive a maximum of $2,000,000 or three times your compensatory damages, whichever is more. If the defendant intentionally hurt you, then there is no limitation on punitive damages. These rules are quite complicated, so you should meet with a personal injury lawyer in Daytona Beach to discuss the details of your case. 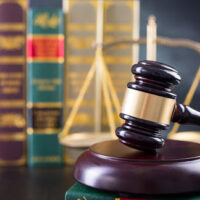 Punitive damages serve a vital purpose in Florida’s court system. They not only punish defendants for horrible conduct but also deter other people from committing similar bad acts. To determine how much you might receive in a lawsuit, please speak with a personal injury lawyer in Daytona Beach today.